Survivor Diet Challenge: Day 25 - Fresh Fish From Florida! Still catching up on posts so all I have for today is that I had lobster scrambled eggs for breakfast - and it was sooooo good! 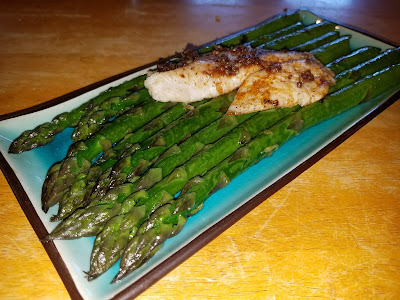 Lunch was an amazing piece of broiled fish on top of fresh asparagus. And dinner was lobster fried rice with breaded lobster bites. WOW!